Relik Tapas Bar and Lounge had a lunch set that costs PHP 350.00 (plus local and value added taxes). It comes with a soup, a salad, and a main course. So if you will be one of the lucky winners to go here and bring a friend, you each have about PHP100.00++ more to use per head. 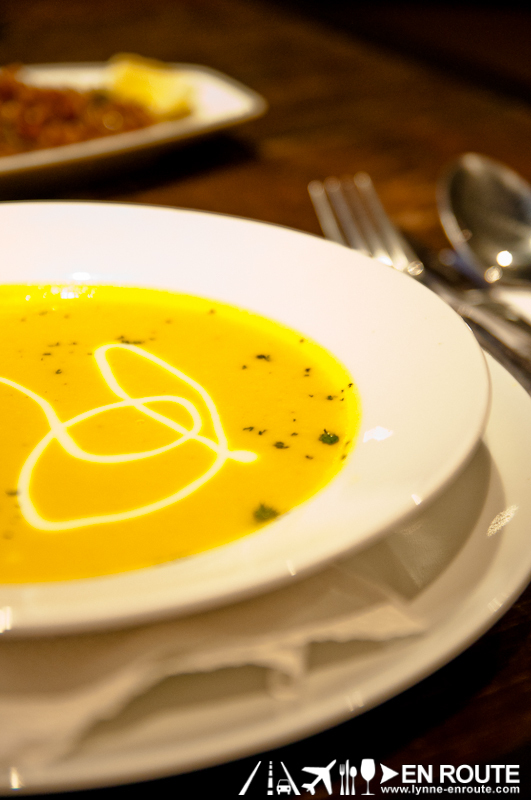 The Roasted Pumpkin soup is moderately thick but packed in taste with a hint of herbs here and there to enhance some dimensions of the flavor. It is a good start to whet your appetite but light enough so as not to spoil the main course. 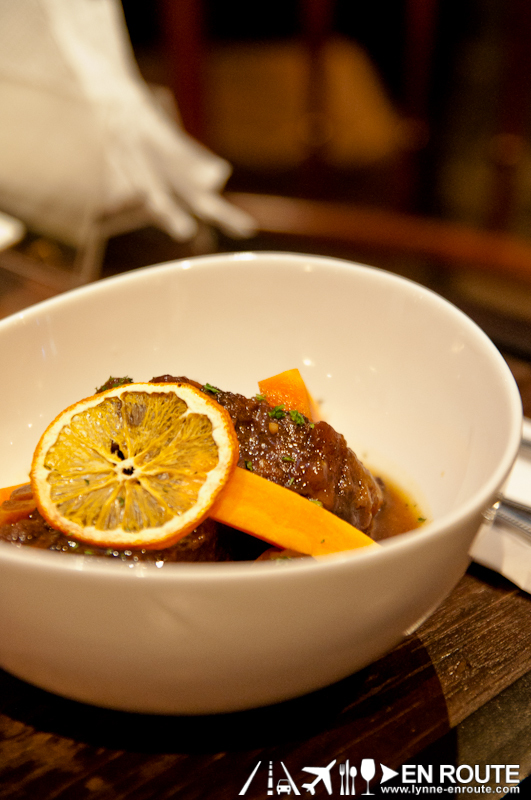 The starters were light enough, but then came Mother Ann’s Braised Ox Tail. It looked deceivingly small but each slice made a big cluck into the tummy, all the while exhuming hints of orange zest, crunchy carrots and gravy-like mashed potatoes. 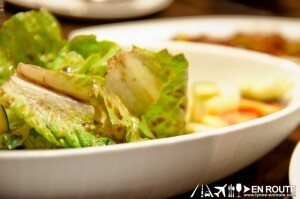 The mixing of flavors are interesting with one key factor dominating the overall idea of the dish: balance of flavors. If you wish to venture past the set lunch, you can actually get some appetizers and pair it with some order of rice. It can still make for a good value meal. One appetizer that shouldn’t be missed is the Chorizig (PHP295.00). 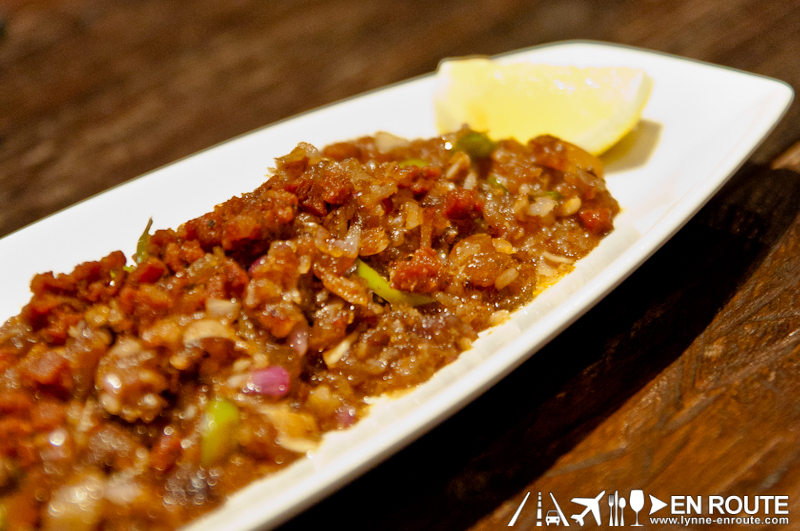 Such a brilliant idea of using salty-sweet chorizo and mix it with spicy peppers, and sizzled semi-crunchy with a twist of fresh lemon. Heavy eater? 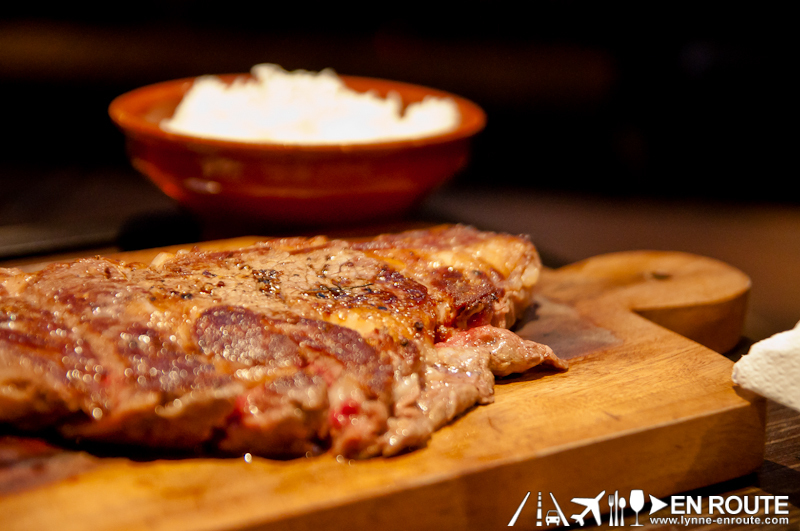 Then it’s gotta be the US Prime Angus Ribeye Steak (PHP1,195.00). 300 grams of ribeye cooked your way. This was cooked medium in all its marbling goodness. It normally comes with fries but can be requested to be changed to plain rice. Value for flavor is what Relik Tapas Bar and Lounge will give you for your lunch. And given that it is a secluded place, you can expect a good and intimate lunch great for conversations. But we did hear that come night time, it becomes one of the dazzling celebrity packed party place. Bump shoulders and rub elbows there soon 😉 ? For reservations and advance orders of their paella, call +63917 529 8333 or +632 624 8251 from 10am to 7pm, Mondays to Saturdays. 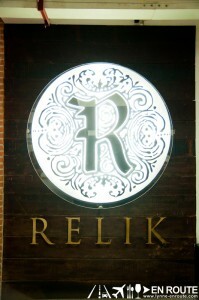 You can also check out Relik’s official Facebook page or follow @reliktapasbar on Twitter. They accept bookings for events and the venue can seat 80 up to 110 guests. They also have a private non-smoking room that’s perfect for gatherings or meetings. Oooh.. They have a nice selection of main courses for lunch.. 😀 I hope I get to win a GC.. haha.. If not, I’ll still make sure to visit Relik again soon.